There are more than 400 types of seaweed available in the plant kingdom, each one offers unique gifts. 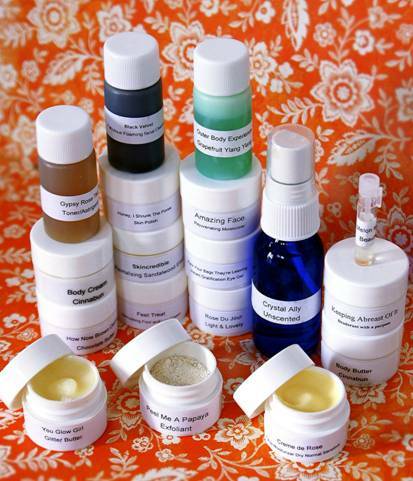 Our chosen variety is seldom used in skincare due to cost. It takes 1,000 pounds of only the center vein to make 1 pound of extract. We originally looked at this plant for internal use because of its many scientifically proven health benefits. One day while working in the lab I spilled some on my hand. 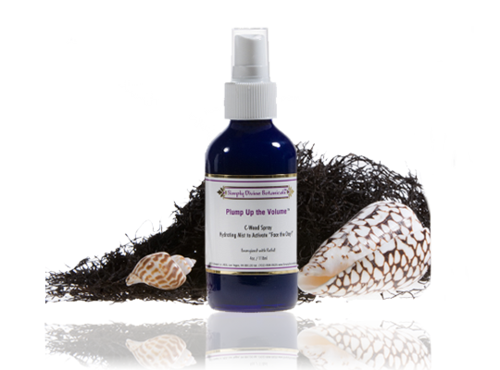 My skin immediately became smoother & upon washing them became even softer (seaweed grabs & holds moisture). Enhances the efficacy of Face the Day. Seaweed floats in salt water all day with the sun shining upon it yet always remains plump & moist. Using seaweeds ability to grab & hold moisture, we added restructured water (for greater penetration) to FACE THE DAY creating a superior spray for supple skin. Yippee! No more rubbing an uncomfortable crystal under your arm. Formulated with Angstrom Zinc & Silver which kill odor causing bacteria & make a pleasant body & foot deodorant. Effective and super easy to use. HONEY I SHRUNK THE PORES! With the texture of raspberry jam, this densely formulated, honey rich defoliant with fruit enzymes, can tighten skin, shrink enlarged pores, eat away dead skin cells, disinfect & act as a humectants. 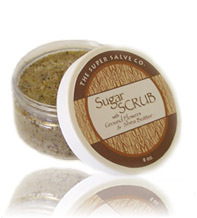 Now those with dry/sensitive skin can exfoliate too! 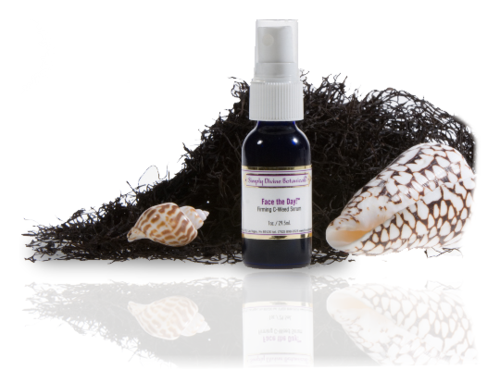 This is a divine balancing treatment for all skin types. absorb oils & rolls away dead skin cells. Your face will feel sooooo silky smooth. 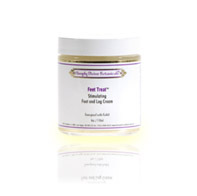 Application: Gently massage over damp skin using circular motion. Avoid eye contact. 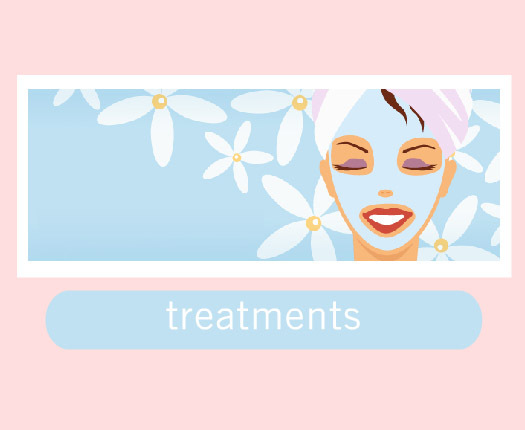 For further exfoliation allow to remain on the skin for one or two minutes, then rinse. Use as desired. Avoid wetting contents of jar. 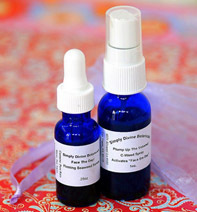 Sandalwood Revitalizing Elixir Ideal for Wrinkles, Rosacea, Bruises, Balances Dry to Oily, Discoloration, Scars, Blemishes, Itchy Red Cracked Skin. 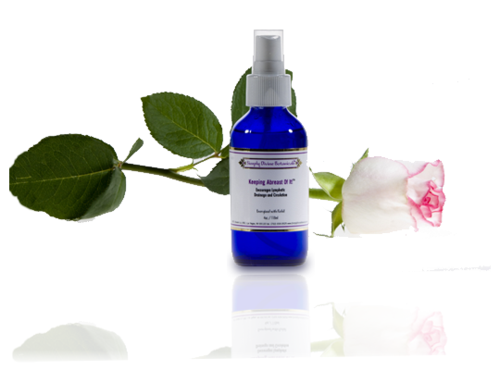 Application: To maintain happy skin, use morning & evening after cleansing & toning. Additional Simply Divine Moisturizer may be added if desired. 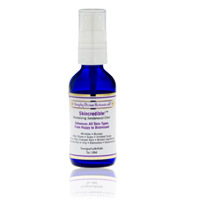 Originally created for Rosacea, but now we use it for everything including after-shave for men & teenage skin. PACK YOUR BAGS, THEY'RE LEAVING! 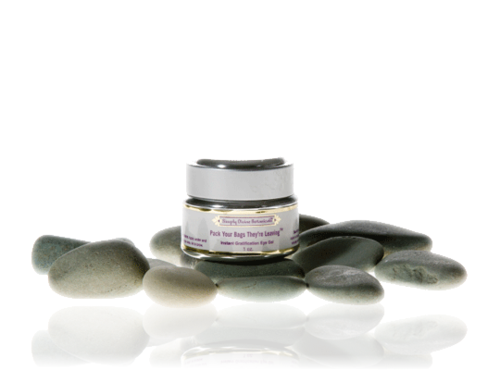 Instant Gratification Eye Gel: This eye gel was created to reduce puffiness under & above eye area; the efficacy of this product has amazed even us! Dr. Gabriel Cousens tells us it works by activating acupuncture meridians to strengthen kidney function. Application: We suggest you initially use on one eye only for a comparison. Apply a small amount under & above eye area morning & bedtime. Additional moisturizer may be added if desired. 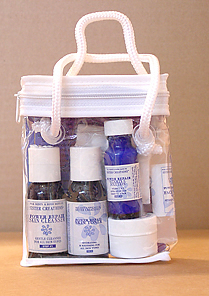 This unique treat for the feet features Spikenard, a rare essential oil. 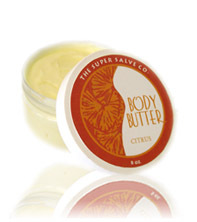 Anti-inflammatory properties give immediate relief to swollen, overworked feet & hands. Massage a small amount on the back of the neck for headache relief. Finally! No more rubbing an uncomfortable, messy crystal under your arm to get protection from odors. 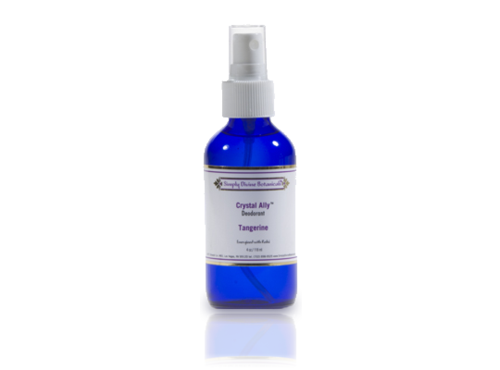 Our Crystal Ally is formulated with Angstrom Zinc & Silver which kill odor causing bacteria. Result: a pleasant body deodorant that works. Health Benefits: Certain Essential Oils are specific to the lymphatic system which flows throughout the body groups under the arm, breast, groin area & neck. Methylparabens & other harmful chemicals in most commercial deodorants are being found in breast tumors (in their ester form) indicating chemicals are entering the body through the skin & not by oral ingestion. Our deodorant actually stimulates lymphatic flow. Try 18 of our most popular products in one amazingly affordable, portable kit. Even if used daily will last for weeks! 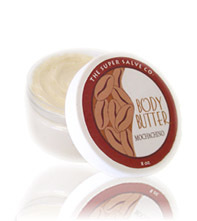 Body Butters are luxurious moisturizing treatments that melt into your skin without leaving a residue. 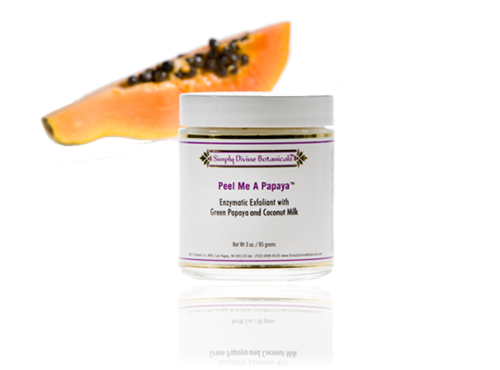 Our blends keep your skin soft & silky.